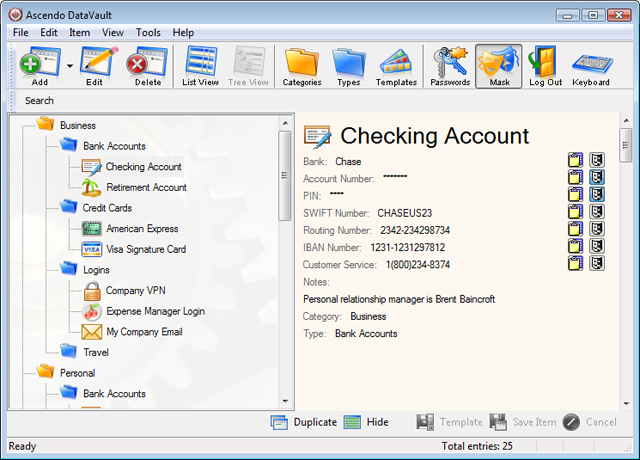 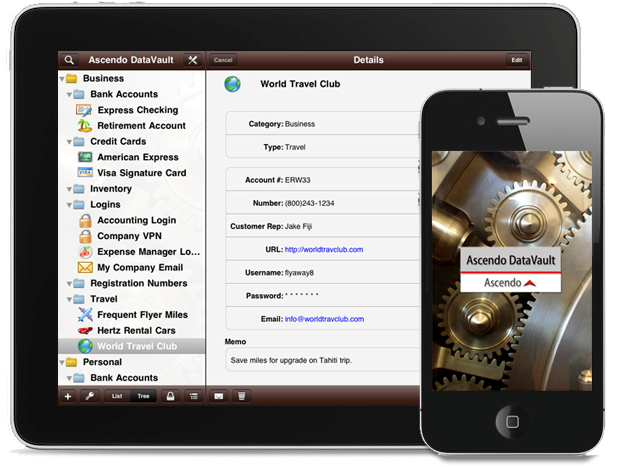 Ascendo DataVault stores confidential information related to credit cards, bank accounts, logins, memberships, etc. 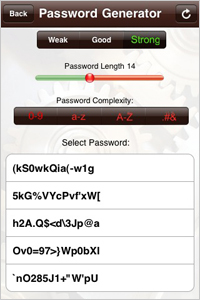 using Advanced Encryption Standard (AES), widely recognized as the most powerful technology to secure data. 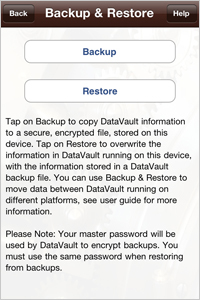 DataVault delivers unmatched features including synchronization via Mobile Me, Webdav or Wi-Fi with DataVault for Mac and DataVault for Windows, failed login alert with device location and backup using iOS file sharing (no desktop utility required). 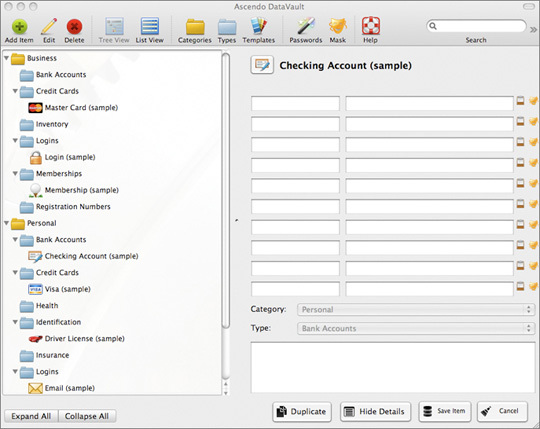 DataVault provides a uniquely intuitive interface, optimized for mobile devices yet consistent with desktop environments. 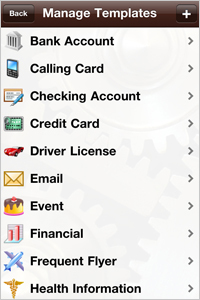 DataVault is a Universal Application so you can purchase one copy and run it on five iOS devices at no extra cost. 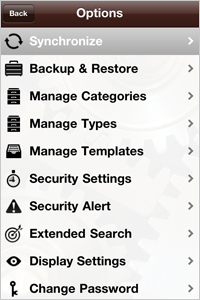 Protects private information from theft using powerful encryption and advanced security features. 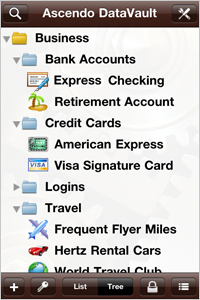 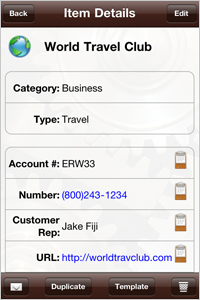 Saves time and money by giving you instant access to your personal information anywhere you need it. 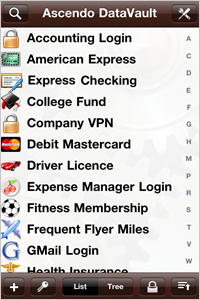 Top Ten iPhone Password Managers "4-Stars"